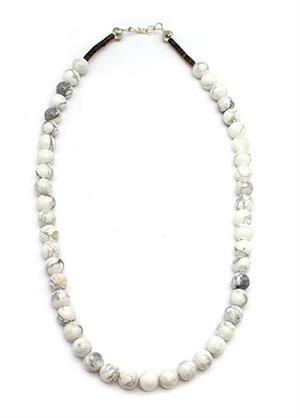 This necklace is strung with 8mm howlite beads, pen shell heishi and is finished off with a silver plated hook and eye. It measures approximately 18" long and is strung by Navajo artisan Sandra Francisco. Color shade will vary.